Having a dirty oven can inflict damage to both you and the food you prepare. There are plenty of side effects from cooking in an unclean oven- like bad odors, smoke, unequal distribution of heat and reaching the desired temperature more quick. All of these can be avoided if you decide to employ our professional oven cleaning service located in Brixton. We are all trained professionals who aim at providing only the utmost best results to all our customers. Having been involved in this line of business for over 3 years now, we are more than confident that we can clean your oven thoroughly and deeply from top to bottom. While our technicians are performing the cleaning they will take it upon themselves to inspect the appliance and then clean it carefully with precision. 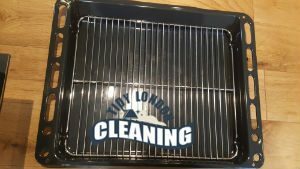 The baked as well as the grime will be removed completely to ensure maximum performance, the liners and racks will also be cleaned to perfection without leaving any sign of previous cooking. The help of our technicians can be of a great importance- not only will you prepare healthier, better looking meals, but thanks to their diligence and understanding of the cleaning and the appliance itself, they will increase the life of your oven and add a few more years to it. We guarantee that our technicians will do whatever it takes and in their power to bring you the end-cleaning results that you deserve. Thanks to the environment-friendly cleaning materials and solutions you need not to worry over using harsh chemicals to clean your oven. Rest assured your appliance will be safe in our hands, and when we are done with it we will leave it sparkling clean, smelling fresh and looking like brand new. 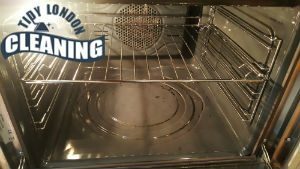 Such professional oven end-cleaning results are more than rare in Brixton, we will gladly prove you what professional cleaning stands for. Unsurprisingly, cleaning the oven is one of the least preferred household chores. The domestic materials are usually not able to eliminate the persistent greasy areas. Plus, nobody likes spending hours in the kitchen. When it comes to professional oven cleaning in Brixton, our company is your best alternative. Our dip tank cleaning is suitable for all types and sizes of ovens. This method leaves every area of the appliance free of grease and carbon deposits. Plus, it doesn’t involve any toxic cleaning materials. We will send one of our representatives at a convenient time and they will implement the job in a sufficient and quick manner.